*Many apologies for the delay in today’s post. The internet in my area was down. Thanks for your patience. 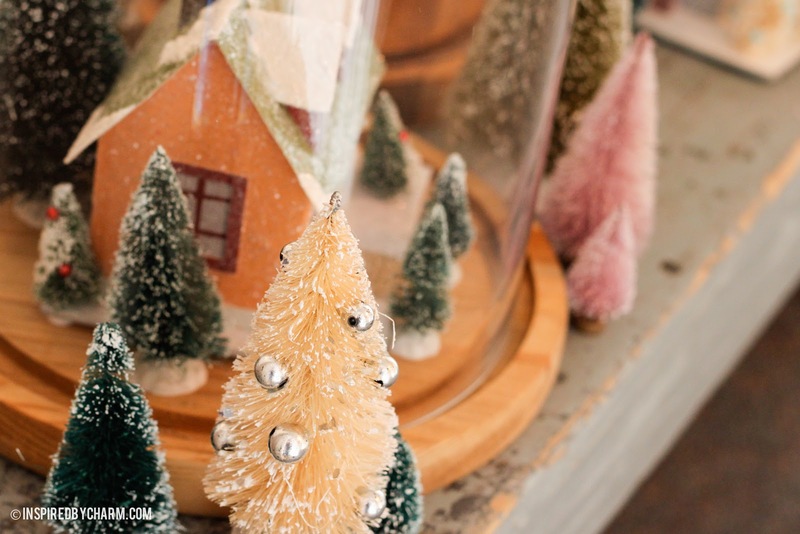 Well, we just spent a couple days crafting and baking; now it’s time to show you a little holiday vignette I created in my upstairs hallway. How’s that sound? 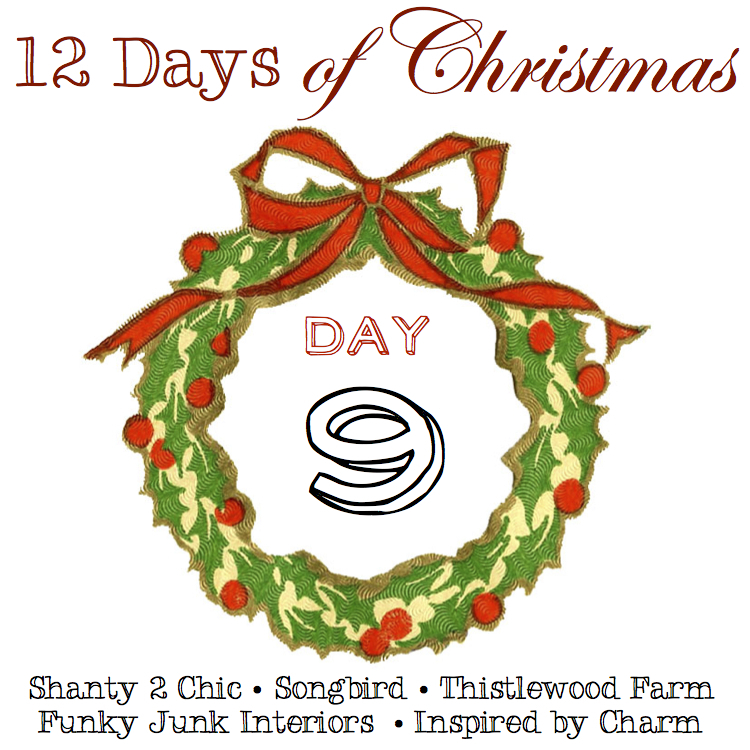 Welcome to Day 8 of the 12 Days of Christmas. Last year I decided to start a bottle brush tree collection. They were popping up all over the Web, and I just had to have some. Thankfully, at the end of the holiday season, I was able to find several amazing trees at a great price. I also came across a few of the vintage putz-inspired paper glitter houses. Clearly a match made in heaven. Then, through one of the companies I order merchandise from for my shoppe, I found an incredible set of cloches. I mean, one is literally three-feet tall. I’m in love! 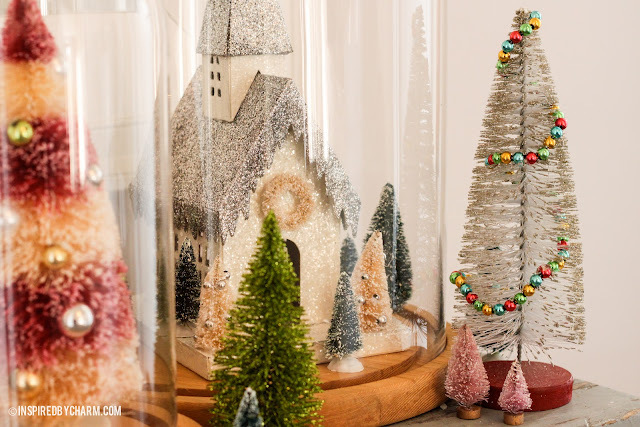 So I decided to combine all three of these amazing things into one purely magical holiday display. Dreamy and beautiful with a dash of fun. I topped everything off with this funky paper star from Ikea. It was too cute to pass up and it was a steal at about $10. 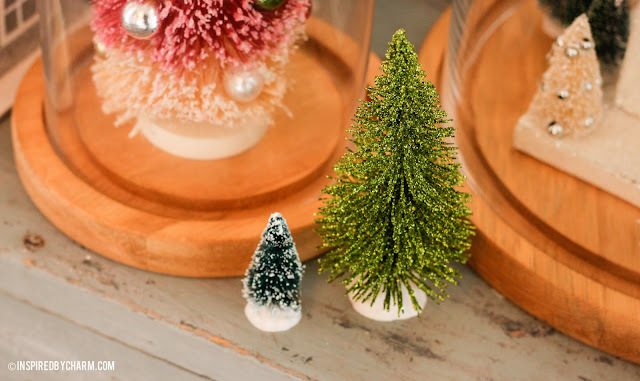 I ordered these tiny lights that I’m hoping to also incorporate into the display, but they have yet to arrive. If they work out, I’ll give you a little update. 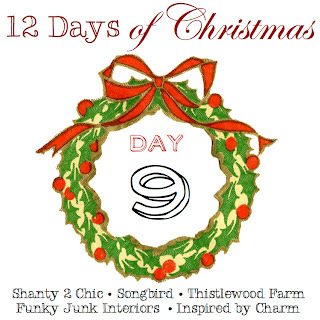 So that’s it, a quick, simple, and festive vignette. What do you think? Do you have any fun holiday collections? Your “little” vignette is very grand! I love it! 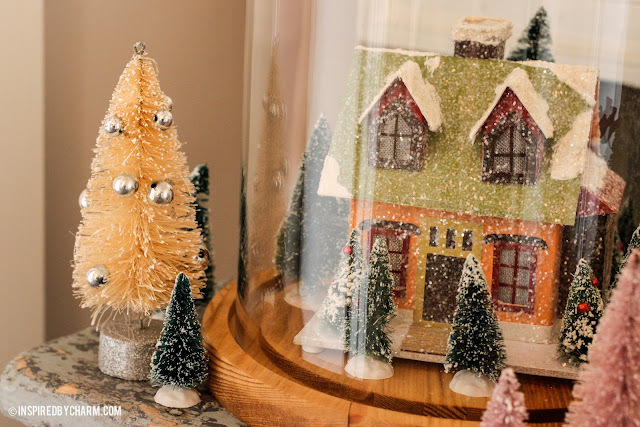 A magical winter village- LOVE it! Beautiful, I love it. Also, I didn’t know what the “glass” display’s were called, I do now thanks to you. 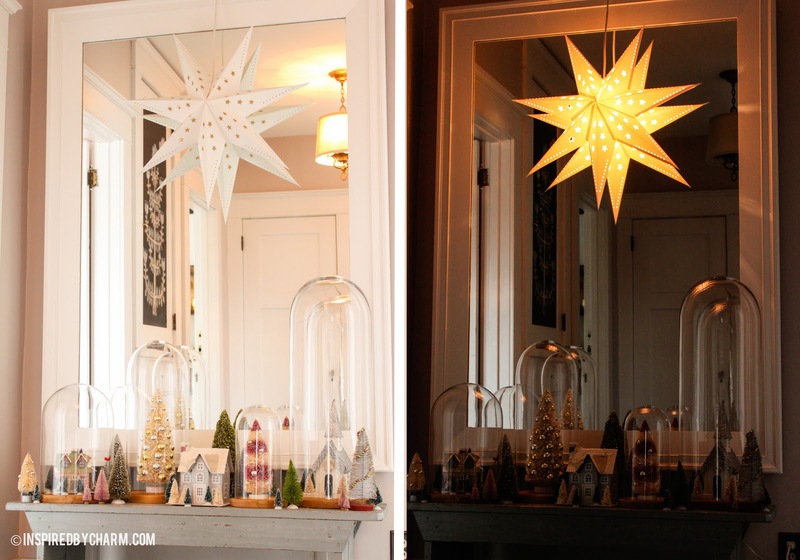 Beautiful and I love the paper star! Did it have lights when you purchased it? Thanks Beth!! 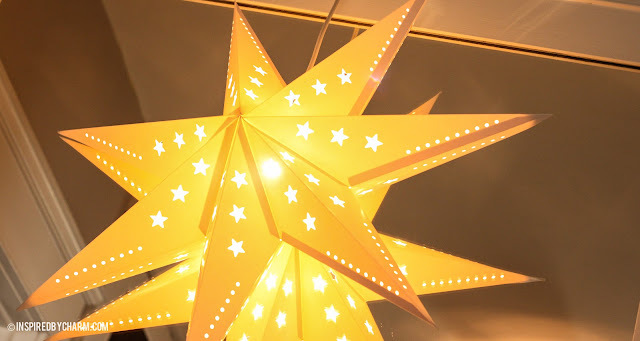 Yes, the star did come with one light inside of it. Too cute, right? OMG, those cloches are TDF!!!!!!!! Can you give a link??? I love your vignette, the trees are fabulous!!! Oh, I love that group of houses and trees! Magical! 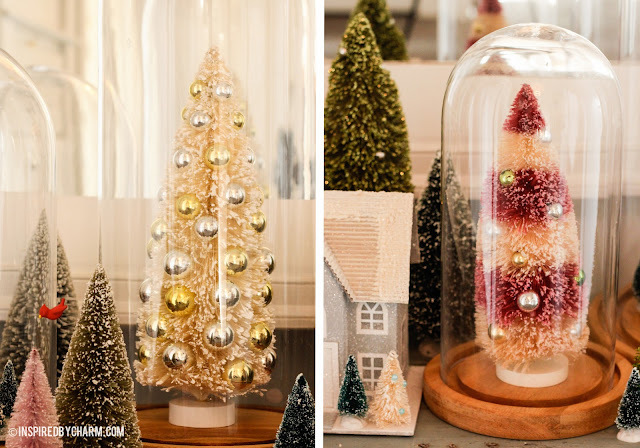 That’s one of the nicest Christmas vignettes I’ve seen this year. So pretty and original, but not overdone. Wonderful! 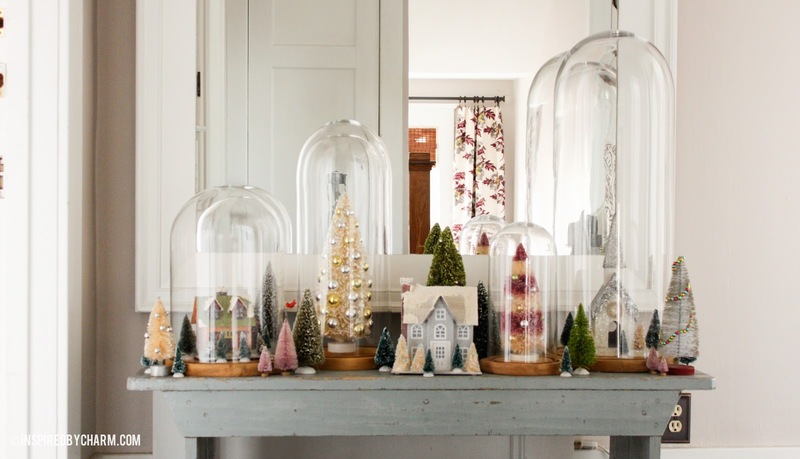 Love the trees,love the houses,love the cloches and I love how it all goes together. What a great Christmas vignette. Love how you have displayed these together! 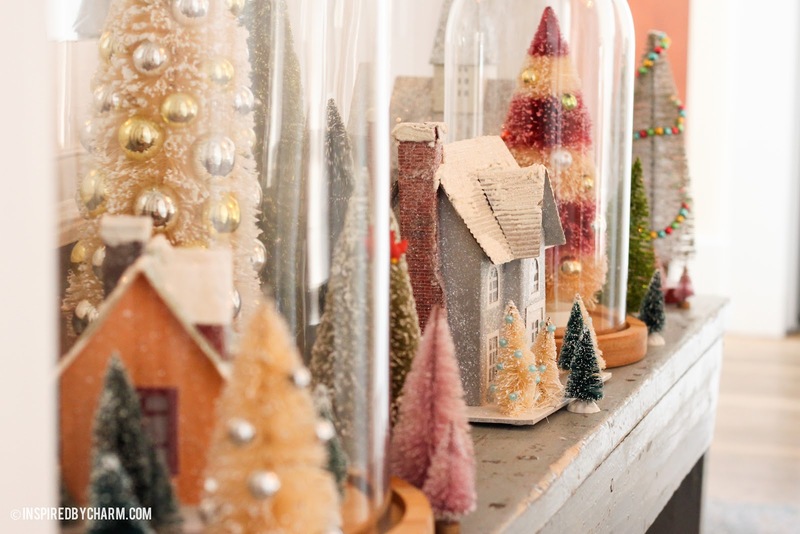 I am a sucker for little houses…and glitter…and things in glass cloches….and little trees… LOL This is great! gorgeous! love the elegant country feel of it! I just love glitter houses, and these look great with the cloches. Thought you might like to see mine. 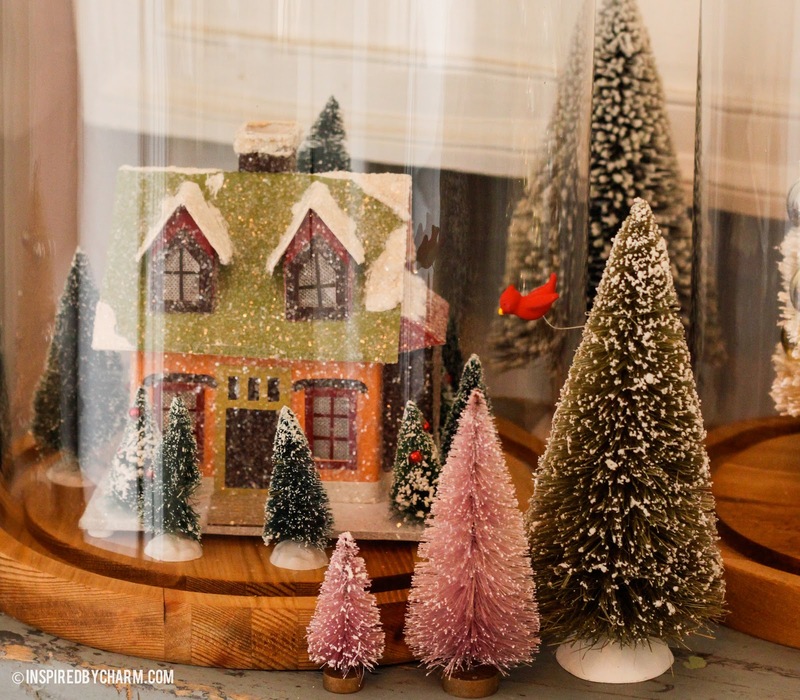 I made them a few years ago out of old cereal boxes, and this year incorporated them into my woodland theme. Seeing yours, I think I might need more trees. Thanks for the inspiration! That is so charming! What a nice display and it works so wonderfully on that beautiful table. Simply gorgeous, Michael! Love it! Awesome! 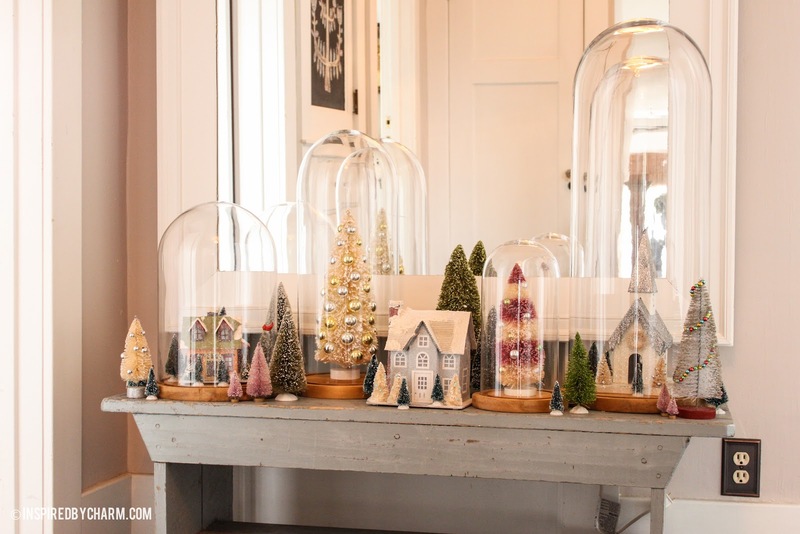 I love those cloches! Def. a beautiful display! Wow- what a magical vignette! I love it all – even the bottle brush trees, which I haven’t been too keen on until now. 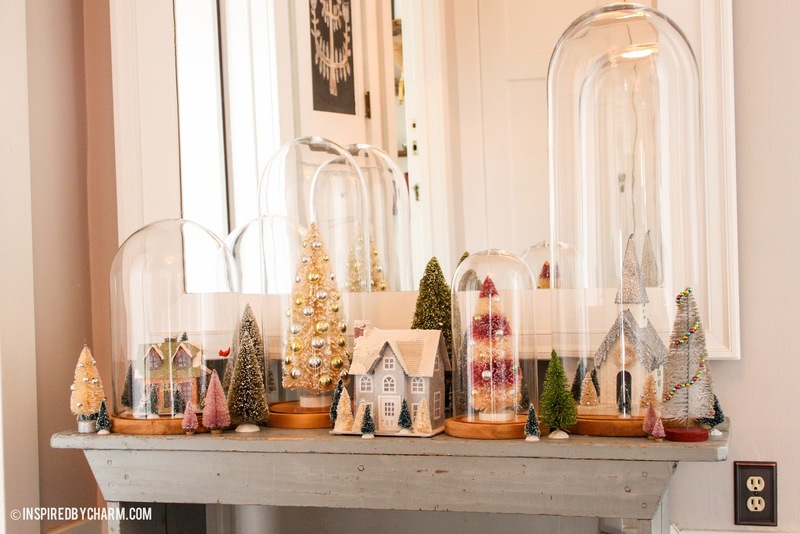 And those cloches, swoon worthy indeed! 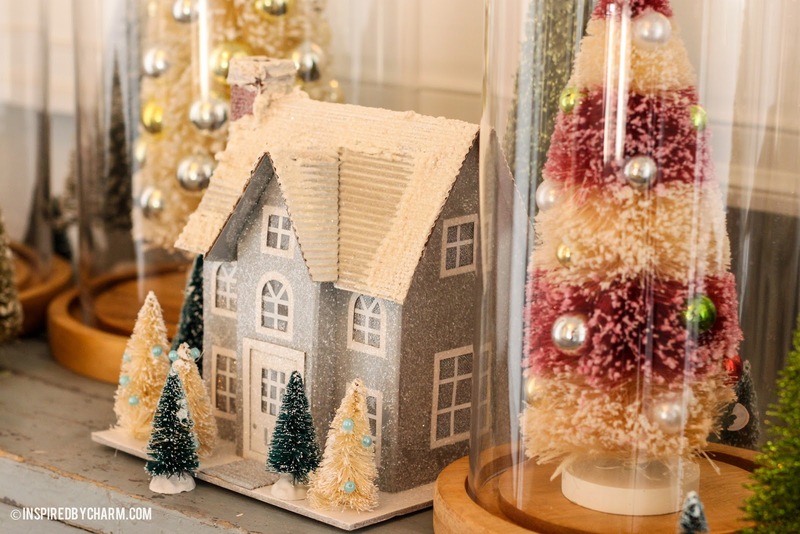 And the truly beautiful glitter house – I have GOT to get some of these too! Thanks for some great inspiration!